Can't attend? Follow Singapore Foodies - Beer, Wine, Laughs Edition to know of future events! BarMF Craft Beer and Bacon Tasting Afternoon, guided by seasoned beer lover and Morganfield’s partner, Jo-Di Ng. For the first time ever, famed restaurant Morganfield's is offering an exclusive in-house craft beer and bacon tapas event. 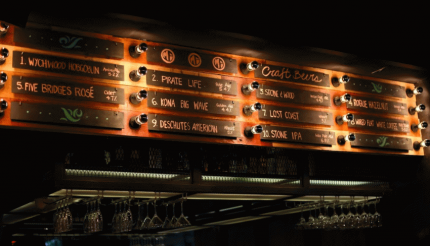 Morganfield’s has some of the most unique beers in Singapore, including two Hawaiian craft brews and one Rose beer! 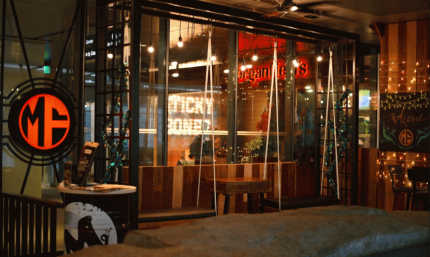 You’ll join 11 other intimate group craft beer and bacon lovers in an intimate setting at Morganfield’s VIP section, BarMF, for a two hour event guided by Singapore’s most charismatic craft beer lover, Jo-Di Ng. Jo-Di will lead group discussions on craft beer, the home brew scene and any other beer related topics that may arise. We will taste a selection of beers throughout the course of the day, covering a variety of styles and flavour profiles and discuss what makes each beer different from one another. This indoor air-conditioned venue will offer of beer tasting options and share plates to keep you going. This will compliment your tasting experience. A selection of 8 beers, presented in two sets of paddles. A tasting of 3 of Morganfield’s finest snacks.